Lanterns are HOT. Doilies are lovelies. I love both! They are fabulous! Why don't we mixed them together..?? Lovelies, please check the tutorials here. Aren't they tooo sweet? Woww..!! LOVE! I received an email from a silent reader. She asked me where to find those paper lanterns. Therefore, I'm sharing the info that I've found thru blog-walking. 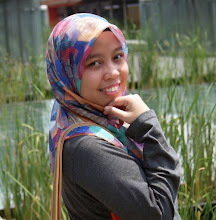 from Sarah's blog and CikSue's blog. i love them too..they are so cute kan..btw, kak nyomel..is it ok kina lambat sikit submit form GA aritu..huhu..sebab macam confuse plak dengan tema warna wedding..hehe..
kina, yerpp.. mmg cute. suke! nyomel, pls do check ur emel plz . i've send emel bout my inv. card . masmona: haha! i pun tak sangka taw! 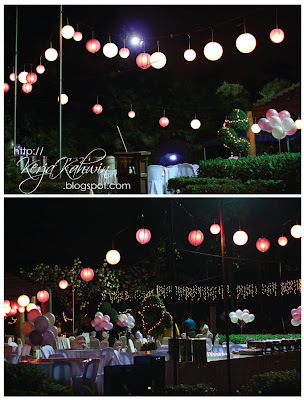 bile jumpe lantern ni, jadi sgt soooka! hihi..